Why Levy Discriminatory Excises on Soft Drinks? This review of the justification for discriminatory excise taxes concludes that the economic case for taxing soft drinks is weak. In developing economies, expenditure needs are great, tax administration is weak, and countries may resort to discriminatory excise taxes as stopgap measures to solve short-term problems. More advanced economies do not have to settle for such stopgap measures. Discriminatory excises, other than on the "sin" products, find little justification in modern tax systems. In fact, discriminatory taxes on soft drinks have been eliminated in most European countries and are recommended for elimination in the EU. A middle or higher income country that resorts to a tax list of discriminatory excises on consumption of specified products is taking a step back in the development of their fiscal system and is postponing a more proper reform that would be in the better interest of the country. 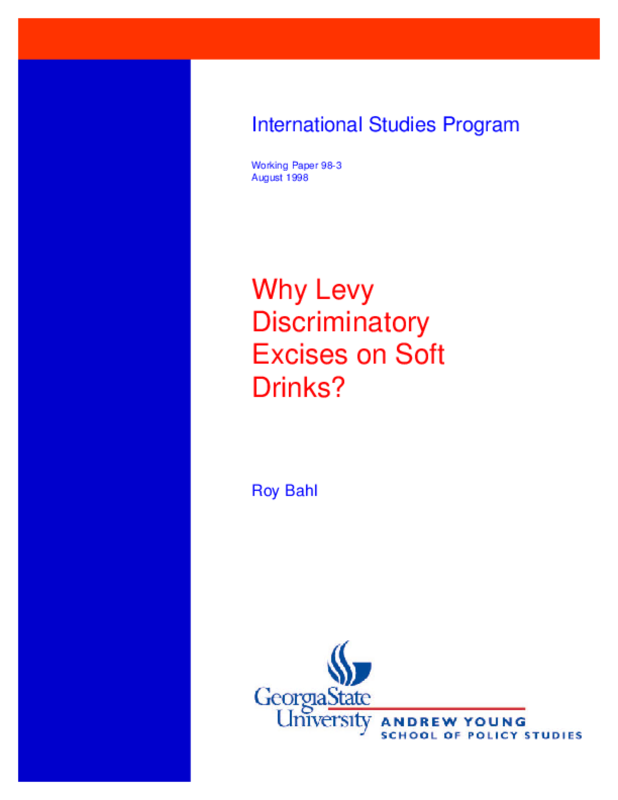 Title: Why Levy Discriminatory Excises on Soft Drinks?